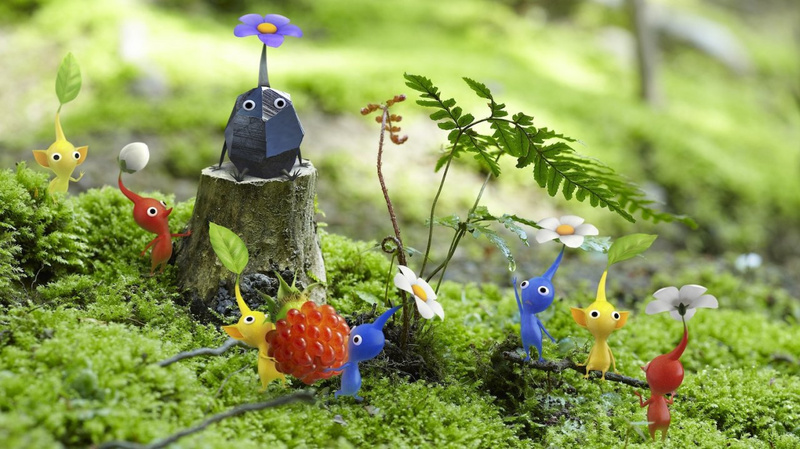 Pikmin 3 will be available to buy from stores or download from the Wii U eShop this Friday in Europe but eager players can get hold of it sooner as UK-based retailer GAME is selling and distributing eShop codes right now. Although GAME are based in the UK, anyone living in Europe can buy the code from them and redeem on their Wii U. It was thought the code would only be able to be redeemed at midnight on Friday but should you tap it in the game will start to download, which is very nice indeed. At less than 4GB you shouldn't even have to wait that long to start playing either. 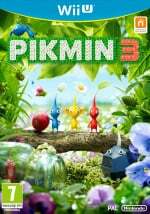 So if you really cannot wait any longer for Pikmin 3 you can grab it right now for £34.99 (compared with £39.99 direct from the eShop). There's also an extra incentive with the download version as by choosing this method you'll be eligible to pick up the digital adaptation of The Wonderful 101 at a reduced price when it emerges (we assume, if you buy the second game direct from the eShop). If you're still on the fence about getting this one, check out our Pikmin 3 review to find out more. Will the ability to download it now make you plump for the digital version, or will you wait out a physical copy? Let us know by leaving a comment. Tempting, but the box is on its way! Still the physical copy for me! Thats pretty sweet, got my disk getting delivered to work on Friday. The US gets it a single day if you preordered on a specific weekend for full price, UK gets it a week in advance with a decent discount and then suddenly another two days in advance with a promotion with the Wonderful 101 where they save yet more money. Thanks, NOA. I've only been waiting for this game for upwards of six years and in the final weeks you fall on your face in comparison when it comes to promotion. They didn't even make a US version of the awesome Pikmin 3 marketing cartoons; they're just tweeting random 15 second gameplay clips uploaded on a website I've never heard of. I guess I can't complain too much because UK often times is the one that gets left behind, but this wait is killing me. @SilverLighting cute? Not sure if I get what you mean honestly. Used my GAME reward points to get this for 31.98 and now ots downloading the 4gb of gaming goodness. Hope NL are right about still qualifying for W101 discount as thought it was only if you brought Pikmin from eStore. Although obviously I'm downloading from eStore I've actually brought it from GAME. @Joshers744 Left behind like those poor little Pikmin that don't get gathered up and taken back to the ship, of course. I guess I was..left behind...on that joke...huh? ...........I'll go away now. @Joshers744 No, stay! There's plenty of daylight left and I see a Duracell battery and a juicy strawberry that we could bring back to our home planet. Well it would've been good to know a few weeks ago but anyway my copy is on its way. I got a boxed copy for £26.63. I was on the fence about it. I haven't played much of the previous two. Hated the time limit on the first one. But all the footage of the new one looks great and all the glowing reviews and the reasonable price have tempted me. Somebody please answer if I buy the download from the game website now,it says il get a code emailed.does that mean id get to play pikmin 3 now? @TOMBOY25 sorry to be a pest mate but you absolutely sure?im talking buying the game download from the game website,not a download card from a store? @TOMBOY25 plus it says on the website I wont be able to download to 12:01 on 26/07/2013? Im confused! Has anyone ordered within the last half hour or so? Placed my order but not received my code via mail yet! I works from France too! Looks like something to do tomorrow after I get home from work! Hi @Heir06, I bought it from Game nealry 3 hours ago and not received a code here either.. it's still "Unshipped" on the website..
@Michael_Caboose I wonder if they stopped sending out the codes? Did say after ordering it could take up to 24 hours but it should be instant! From past experience with GAME download codes, they only seem to be sent out during normal working hours. I guess someone has to authorize it. The codes bought now will most likely be delivered just after 9 tomorrow morning. Everytime I've bought a download from GAME the redeem code is shown immediately on screen once payment has been processed. The code is also emailed a few mins after. Definitely automated. I got my Pikmin 3 code today from GAME and began downloading immediately. No waiting folks! Argghh... Already getting it a week before us and still Nintendo lets people download even earlier. i really hope the Gamestop represenative was right about my download code being ready on August 2nd. The Download code showed up immediatly for me, are you sure you selected the dowload version and not the retail one? Mine been dispatched today too, else i would have download it. @Oswen I'd imagine you will qualify for the Wonderful 101 promotion so long as you buy it direct from the eShop. The eShop will know you own a digital copy of Pikmin 3 and apply the discount with a bit of luck! Time will tell I suppose. I couldn't believe this news when I seen it tonight - wow! I had ordered a copy from Amazon, but on seeing this I just couldn't wait, bought the download code and was playing the game in just over an hour. Have cancelled my Amazon order. PS It's a fantastic game! Been playing tonight, fantastic game recommend using WiiMote for controls but you still need the gamepad. Of Course the game pad supports Off-Tv play and you can still use the WiiMote if you are in front of the WiiU sensor bar when playing Off-Tv. I will also say if you didn't like Pikmin 1 or 2 this will not be for you, there's a few changes and additions but essentially it plays the same as always. Getting it this early has ment no Miiverse functionality though due to no Miiverse patch going live... I doubt it will turn up untill Midnight Thursday Night tbh, when the game hits the eStore. Since I've got my Premium reward points for dl codes purchased from Game in the past, which you are supposed to get for eStore purchases it seems logical that being the digital copy with Pikmin 3 I'll still get my Premium reward points and it will still count for the Wonderfull 101 promotion.. although time will tell for sure. Awesome!! Purchased code from GAME and downloaded game in about an hour. All works ok but not going to start playing it properly until finishing Lego City. Saved £5 and got the game 2 days early. @SanderEvers hm that's interesting. You use a uk download code for your eshop game with our dutch stores? Also, does this way of downloading also ensure the 30% discount on wonderful 101 or doesn't it apply to download codes at all? Currently downloading Pikimin, from the Game deal, hopefully I will get points for the Eshop download, 30% of W101. I will also get points for my reward card from Game and I've saved £5 to boot from the Eshop!! Hope Nintendo start doing similar deals with their future releases. @GiftedGimp what other download codes have you brought from Game? @Joshers744 Dude, it's a week. Not really that bad. There's plenty of games that you people in North America have gotten months before us, and some we're still waiting on (Harvest Moon, anyone?). A little longer won't kill you. @SanderEvers oh my, that makes this a great deal for us dutch folk doesn't it...? You just got the code emailed to you? @Farmboy74 Lego City, Monster Hunter and Game & Wario and Now Pikmin3. The eCodes are cheaper than eStore plus you get GAME reward points, and Nintendo have gave me the Nintendo Premium Points for the full eStore price (less vat). Or so far they have anyway. Can't tell you the details but i have my boxed copy since the 23rd. Done the first 3 days of the game, oh man it is sweet...and hard. I had to restart the third day a couple times because of my ef-ups. @GiftedGimp, Also Super Mario U I've just noticed. I imagine your using an external hard drive as isn't Lego City about 25Gb to download? @Araknie, as with most things in life it's not what you know but who you know! I think games must not sell well in NA during July. Many games being released in August were released in EU in July. here in Holland most shops are already selling it today. OMG WOW... Downloading it now... Thanks guys! @SilverLightning Your not missing much with Scribblenauts... Pikmin is actually a major retail game, scribblenauts, is more like one of those after thought titles youp pick up one weekend because you are bored. @Farmboy74 Yeh got 2tb seagate, your right Lego is 20-something gb, Luckily my broadband connection to WiiU with HDD allows around 1gb to download evey 10mins, aprox (Internal memory is double that for some reason). I brought NSMBU on disc before eCodes came out and Nintendo Land I got with the premium WiiU. I like digital, as its more convenient of off-screen play and Saves wear on the optical drive. (The most common failure in consoles) Wish eStore pricee were lower but thats where eCodes from game come in... shame they are only for first party titles so far. @SilverLighting oh, well...sorry if I offended you or something. @katzii I guess I came across like I was whining more than I really was. I got the game today and it's great! Pikmin 3 is the first full price download I've purchased. What with Game knocking £5 off the Eshop price, points on my (underused) reward card and 30% of W101 promotion, I caved in and downloaded. In the UK the Patch to enable Miiverse and Spotpass and rankings is live. Just awaiting the Miiverse section to go live as still get error trying to post via in-game photo/caption function. @Farmboy74 It would be good of all WiiU games gave you option of direct eStore purchase, eCode from several retailers or disc copy. Got a feeling it will only be for 1st party retail releases, possibly extended to include eStore only games. if i get a code from game will i still get wonderful 101 for 30% less? @MarioPartyFan999 downloaded code too. I'm also in Australia but code doesn't work for me. How did you get yours to work? It's sorta complicated. First, open up Settings. Change your country to the UK. Go back to the Wii U menu. Click your Mii face icon. Choose Add new user. Make a new account. When all that's done, go into the eShop and try it again. After you download it, change your country back to Australia and then log back into your normal account. And viola! In the future, you can just change your country and log into the account you already created. If I'd have known that when I went in on Thursday I may well have been tempted. I told them that I had input the code before the release date because I thought that it would download in standby at midnight of the launch day. I didn't think that it would download until release date. they seem to think that because it was redeemed early that the game won't count for Premium points either. I'll have to wait til December when Gamestop offers all those holiday discounts. I can't afford it right now.